This post has 2,006 views. Today I just replaced my car’s engine and cabin air filters, because they were due for replacement according to the maintenance booklet. This is the first time I did any of the maintenance myself on my current car. I had replaced the engine air filter on my old car, but my current RAV4 is nothing like the ML350 that I had, so this is a new “experience”. 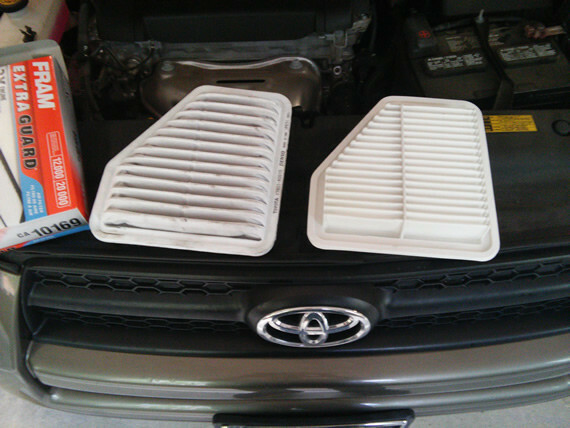 Replacing my 2011 RAV4’s air filters is pretty easy, both the engine and the cabin. The engine filter is the easiest. I just had to unhook to clips, open the plastic housing for the filter, and then replace the filter with the new one. As shown in the photo below, the old filter didn’t look too bad, but since I already bought a new filter I put it in. Takes five minutes to get the whole thing done. 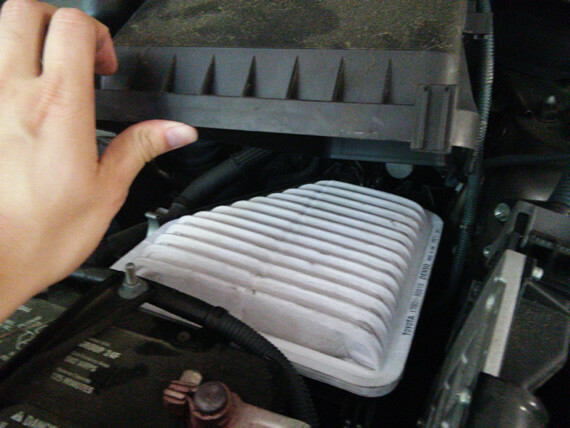 Compared to my old ML350, changing the filter on the RAV4 is even easier. Old filter (left) and new filter (right). There was a slight complication after the replacement. After I changed the filter, I took the car out for a spin and the dreaded check engine light came on, along with the stability control and 4WD warning lights. That was a bit worrying, but I checked the all-knowing internet and it turns out I knocked loose the hose that connected the air filter housing to the engine. Reconnecting the hose solved the issue, so it wasn’t a big deal. We all learn by making mistakes, right? The cabin filter is a little more complicated, but still pretty easy. It involves removing the glove compartment, and then the filter sits in a box right behind where the glove box would be. It probably took me 15-20 minutes for this job, because I had trouble pushing the new filter into the box, and also reinstalling the glove box took a few tries. 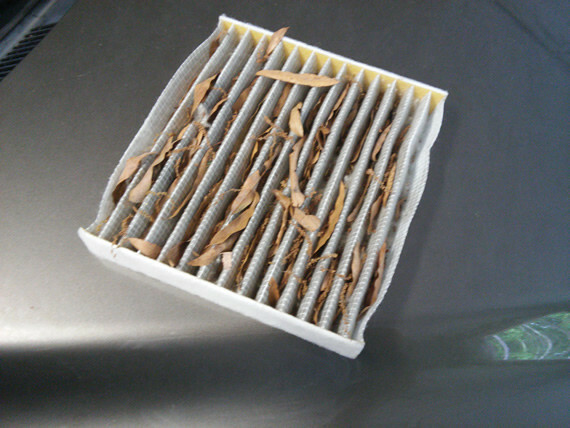 Unlike the engine filter, the old cabin filter was super dirty and full of leaves and debris. I took my car for its oil change earlier, and the shop had offered to replace the cabin filter because it was so dirty, but I declined because I wanted to do it myself to learn the process. The old cabin air filter was full of leaves and debris. Definitely due for replacement. I could easily take the car to a shop to have it done along with the oil change that was due, but I wanted to learn how to do it myself. I still take the car to the shop for oil changes though since I live in an apartment and don’t have the equipment the get under the car to change the oil. Once I get a house I’ll consider doing my own oil changes. It’s fun and useful to learn how to do basic car maintenance, and it save money too. That sounds about right for the unplugged air filter hose. The easiest way is to use an OBD reader to reset the codes which turns off the light. You can probably buy one online for $20-$30. Or bring it to a shop to reset the codes. Maybe bring it back to O’reilly’s and tell them to reset the light. I’ve heard that the light should turn itself off after the engine computer determines the conditions are okay, but that takes a while.